We’ve been rescuing threatened historical workplaces and houses of ordinary people, which would have otherwise been demolished and disappear from the landscape entirely since 1976. Our mission is to tell the story of the unique history of the Chilterns through buildings, landscapes and culture for the enjoyment, inspiration and learning of present and future communities. The Museum now has 33 rescued and reconstructed historic buildings that need to be maintained, which can be expensive. 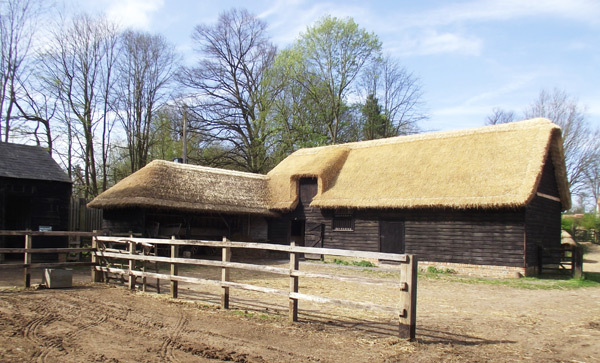 For example, replacing a thatched roof using traditional long straw methods can cost up to £50 000. We have a further 14 historic buildings in store waiting for the funds to be raised so that they can be reconstructed on the Museum site. Our schools programme has become increasingly popular and we need to create an inspiring and appropriate indoor learning space to enable schools to make the best use of their visit. Our general visitor numbers are also increasing and we need to expand our catering and other visitor facilities to cope with the demand. The Museum is a charity and receives no regular funding, so the income we receive in the form of legacies, donations and grants is vital for helping us to maintain the buildings that we have and continue our work so that it can be enjoyed by future generations.